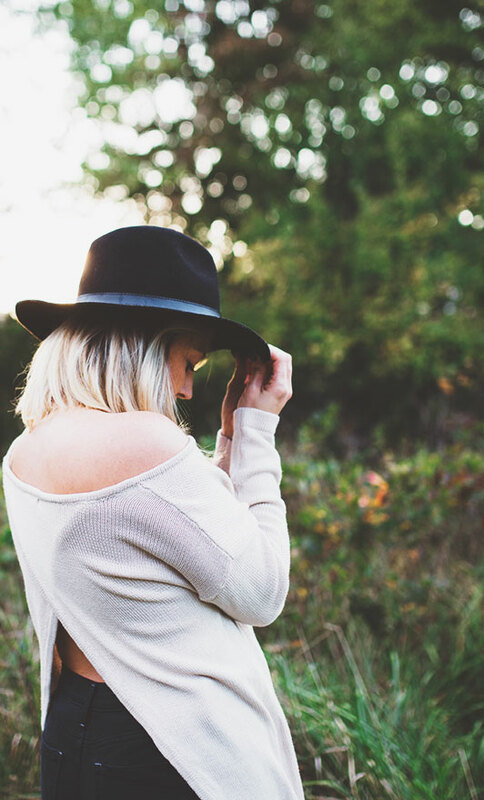 Oscar Pistorius has been stealing South Africa’s limelight lately, but since the country is so much more than a high profile murder trial, I thought we’d do our part to shift the focus to happier topics. 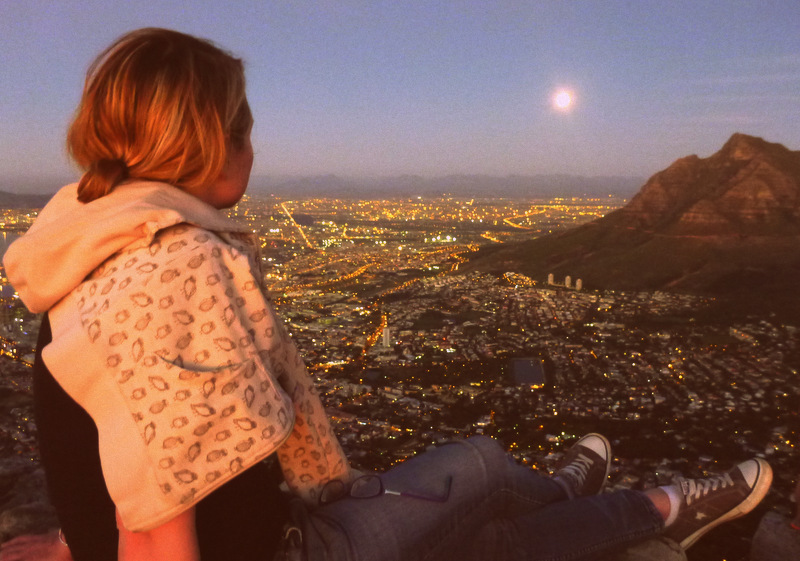 We’ve already detailed our favorite meals in Cape Town, so today we’ll discuss our top ten Cape Town activities. Since the city’s coolness swallowed us whole, we haven’t yet gotten around to sharing our recommendations for other parts of the country. “Soon enough,” said the slowpoke (me). 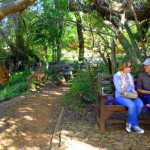 These activities are listed in no particular order, but all stand out as must-dos in Cape Town. 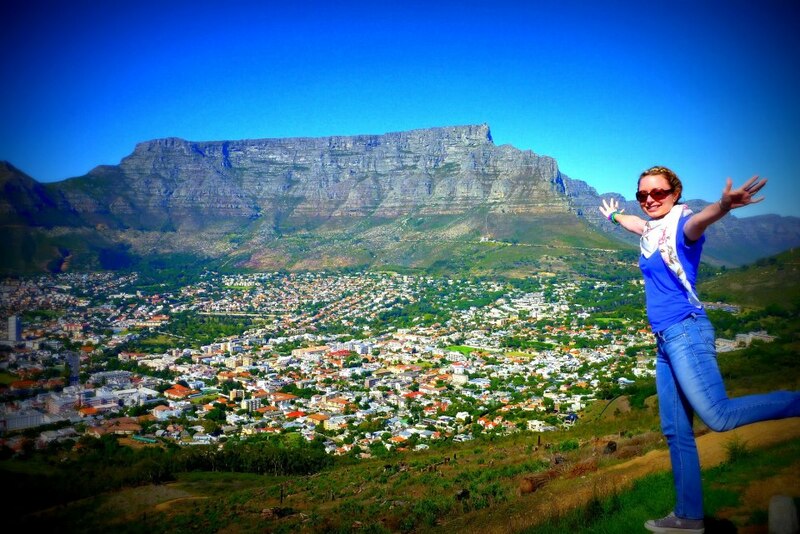 Together, we felt they provided us with a diverse sampling of South African culture. 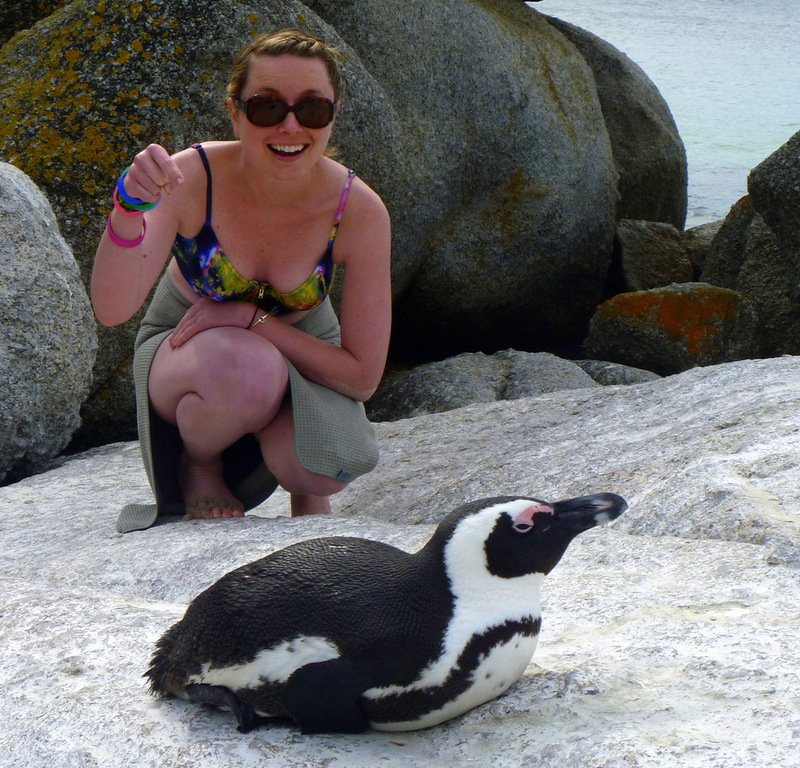 If I don’t write about penguins now, they’re just going to distract me for the rest of this post. 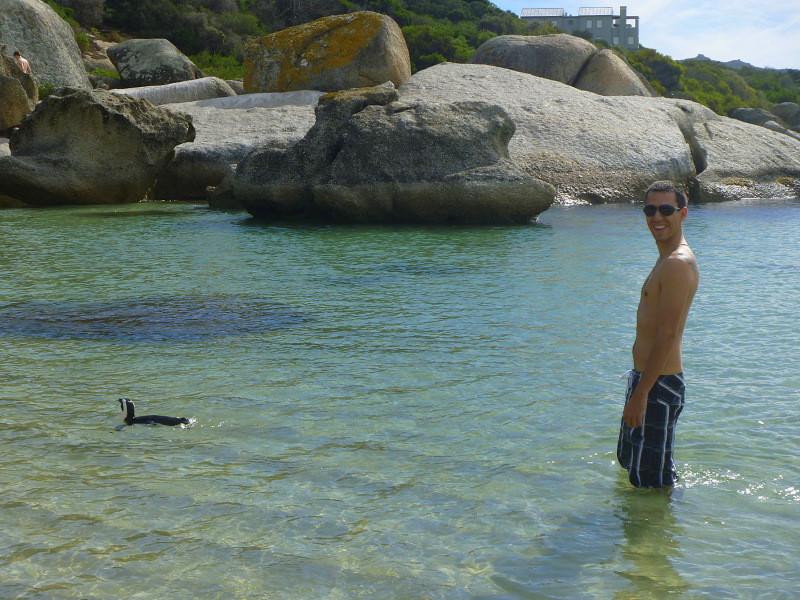 I’m not sure how I wasn’t privy to this place before, but Boulders Beach is a white sand paradise with boulders jutting out of its teal waters. Alone, it’s quite exquisite, but you know what trumps its beauty? 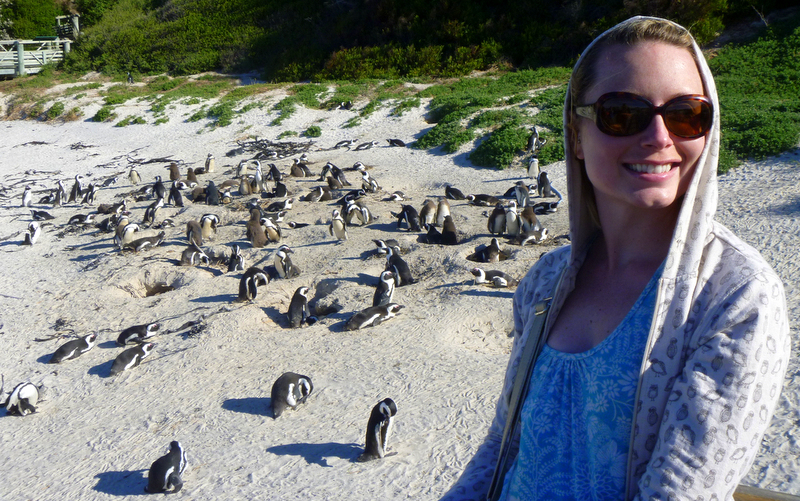 The colony of African penguins living there, being all cute like that’s their job. I’m sorry that my face looks like this, but what’s a girl to do when she’s teeming with enthusiasm? In case you’ve been living under a rock for the last 11 years (like me), I’ll explain what Pecha Kucha is. It started in Tokyo in 2003 as a way for people to creatively and succinctly present their work/passions. “Pecha Kucha” is Japanese for chit-chat, and at each gathering, presenters show 20 slides about a topic they’ve selected, speaking for 20 seconds per image. The event has spread to over 700 cities, in locations ranging from bars to private homes to prisons. Anyone can present on any topic (you just need to sign up beforehand), and admission to the talks is FREE! For people with short attention spans like us, this was blissful. It was like speed-dating, but with knowledge instead of creepy suitors;). 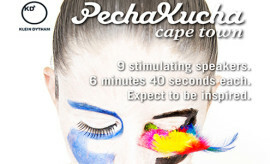 We were really impressed by Cape Town’s presenters, and found Pecha Kucha helpful in taking the city’s creative pulse. One woman (an artist) selected random Cape Town residents on Facebook, painted pictures of them, and later opened an exhibit called “The Stalked” with their portraits. She invited her subjects to the opening, but didn’t tell them what the exhibit was featuring. She then documented their reactions and shared them with us at Pecha Kucha, playfully addressing Facebook’s effect on the concept of privacy. If you haven’t done so yet, check if your city hosts Pecha Kucha events. You’ll wish you had done so earlier! 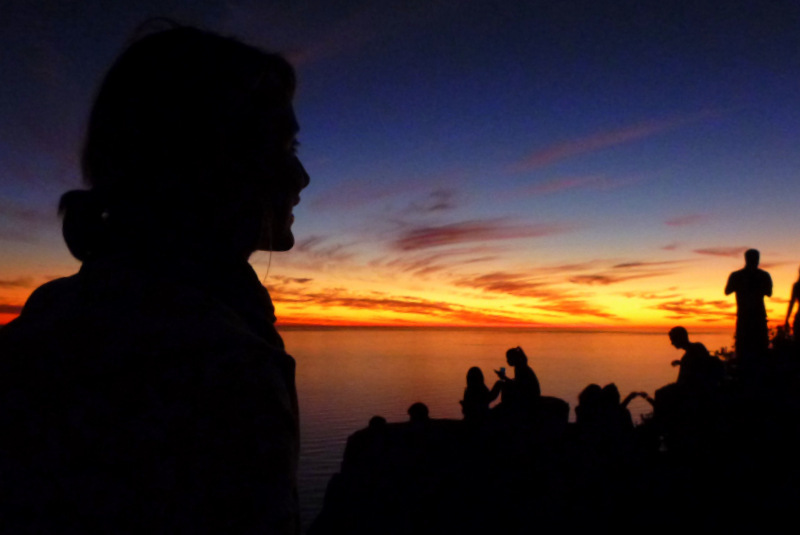 Watching the sunset from Cape Point’s rugged cliffs was beyond memorable. 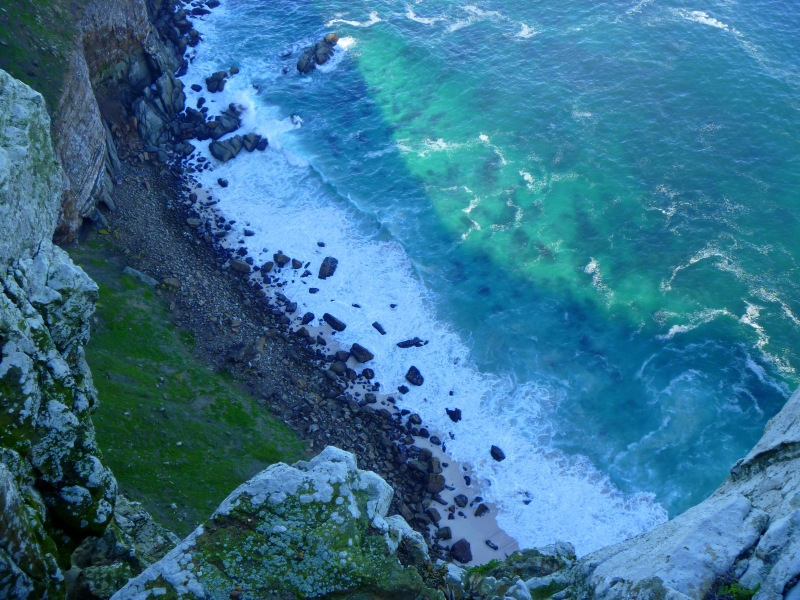 If you’re not afraid of heights, be sure to look not just out, but directly down, as the cliff’s lush green moss meets the turquoise waters so vibrantly! 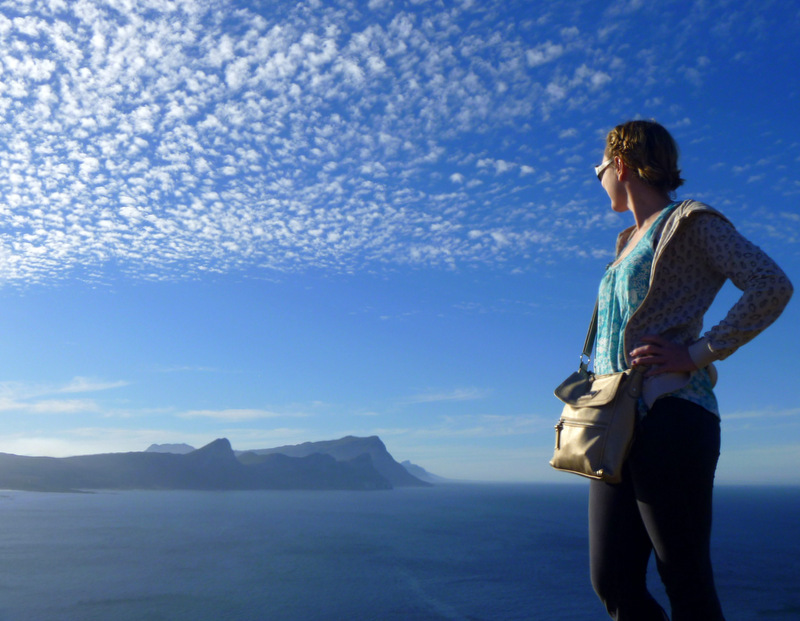 My sagest advice for Cape of Good Hope is…don’t be an idiot. There are signs everywhere warning people of the danger of provoking baboons with food, yet tourists continue feeding them. 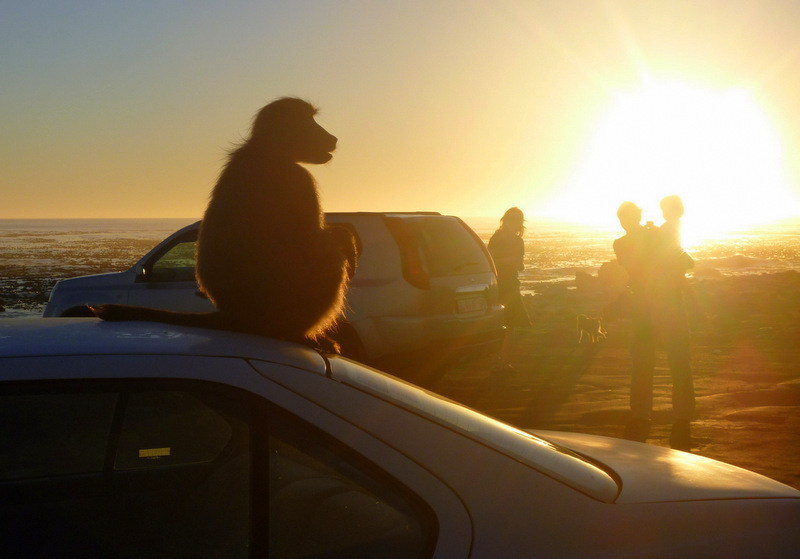 I stayed in the car for most of this portion because to me, baboons are the animal-equivalent of zombies. First you see one, and you’re like, okay, I got this! 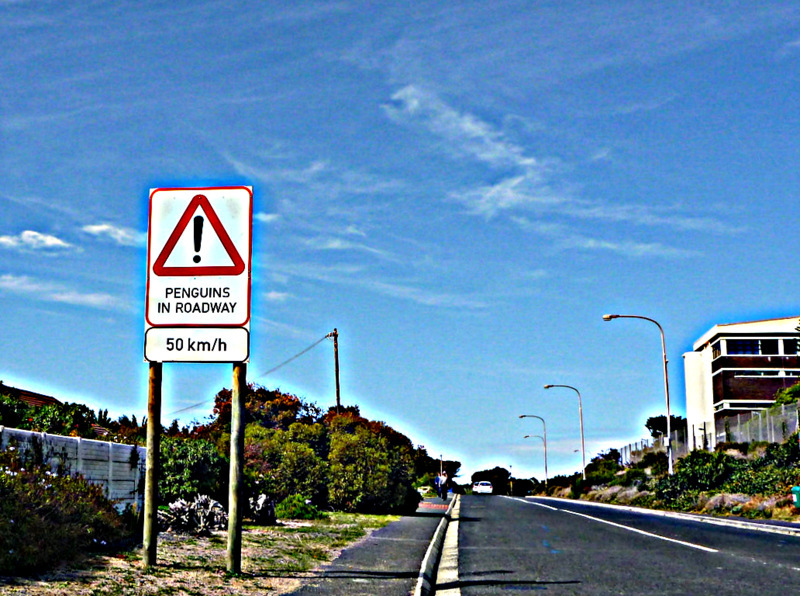 The next thing you know though, you’re surrounded by hundreds and it’s clear that you, don’t at all, “got this.” Cape of Good Hope is definitely worth a visit, but lock your car doors and keep your wits about you. Never have I been so delusional as the time I joined an African dance troupe in high school. The one class that I flubbed my way through gave me immense respect for the art, along with astonishment at the coordination and athleticism that I so grossly lacked. 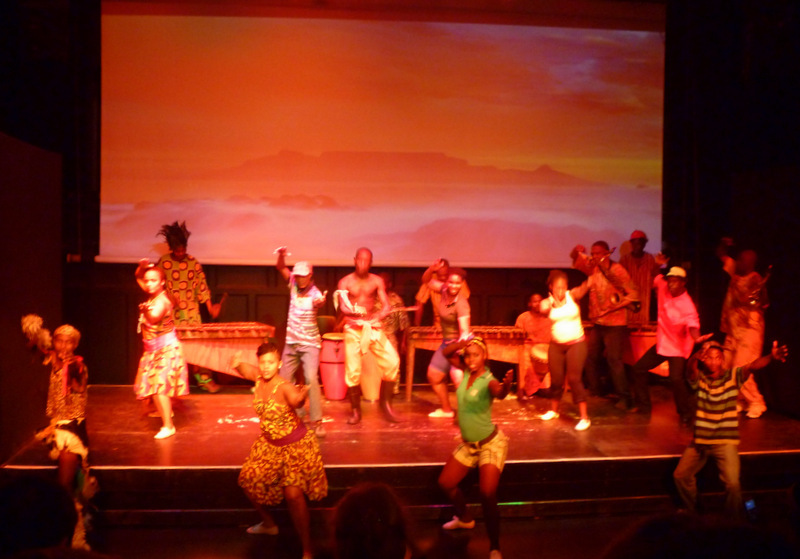 On Cape Town’s Long Street, we encountered a small theater with nightly African dance shows. While the dancers are highly-skilled and the soundtrack is pleasingly sanguine, the performance, costumes, and props aren’t overly-polished. That might sound like a criticism, but it’s not, as I appreciated how real, raw, and un-touristy the dances felt. I believe the company has moved to a larger venue, but hopefully the show has maintained its informal vibe. While we’re on the topic of athleticism, we should mention these two sights. 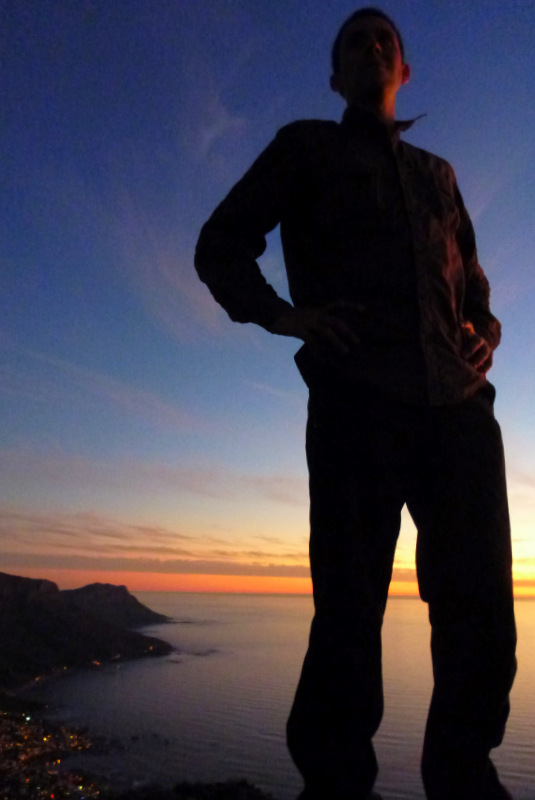 While visually impossible to miss given that they form Cape Town’s backdrop, I highly recommend incorporating a hike of both locations into your itinerary. Seeing as though I’ve never recommended hiking, you can trust this suggestion. I typically don’t enjoy scenery when I’m panting and thinking that I might be having a heart attack, which predictably happened on both of these hikes. However, the views silenced my bitching, and now that I’ve caught my breath, I’ll cherish the memory forever. My strategy for survival while propelling myself uphill: listening to music, pretending each little flower I saw was planted specifically for me (does that sound narcissistic? ), and always choosing the path of least resistance. Other people were running ahead of me and bouncing up boulders, while I stepped from small pebble to the next, pretending that I was taking a leisurely stroll on a flat surface. That is what is known as a vivid imagination, folks. 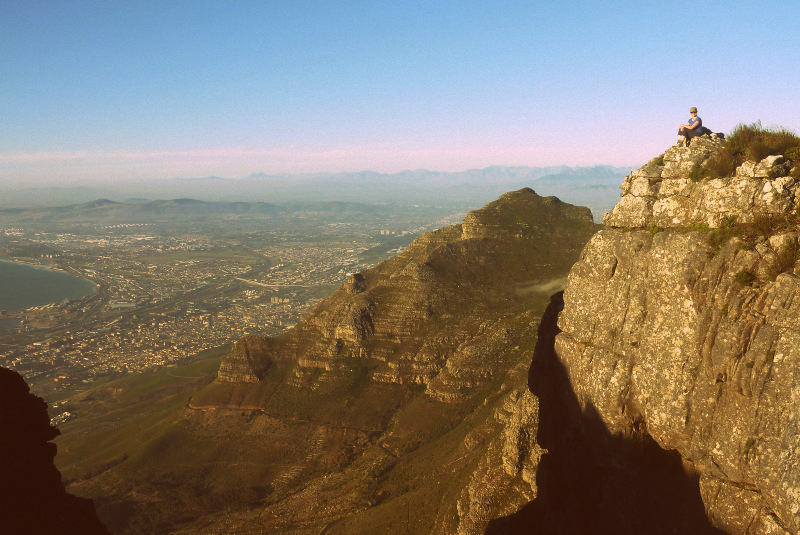 Table Mountain probably takes the average hiker 1.5 hours to hike. It took me 3. Shoot to be there for sunset, and then take the cable car down. 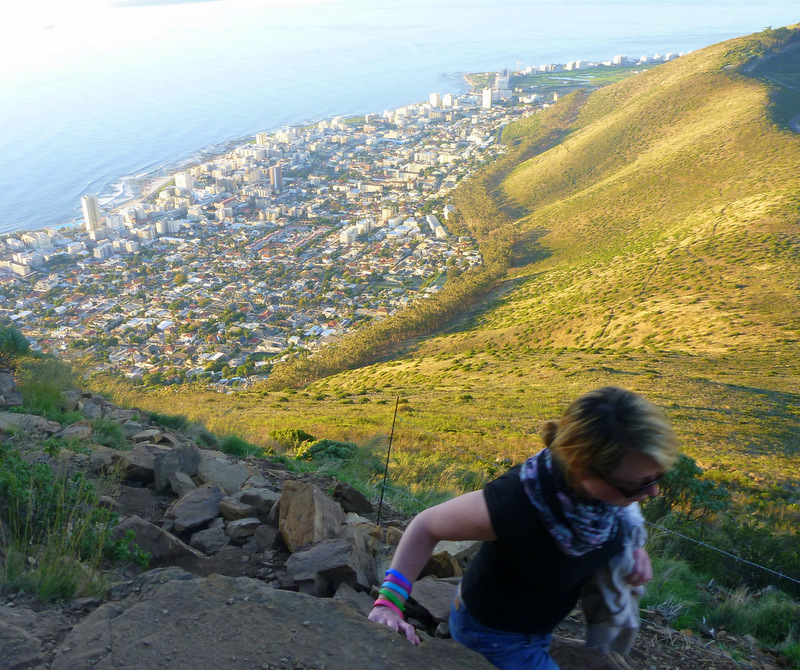 Don’t do it alone, because there are unfortunately instances of robbery on the mountain. 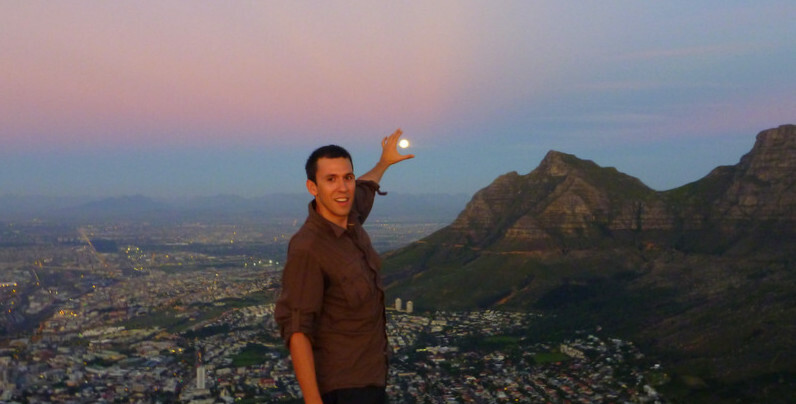 For Lion’s Head, we recommend doing the full moon hike (if it aligns with your trip). I think it took us an hour to reach the top. 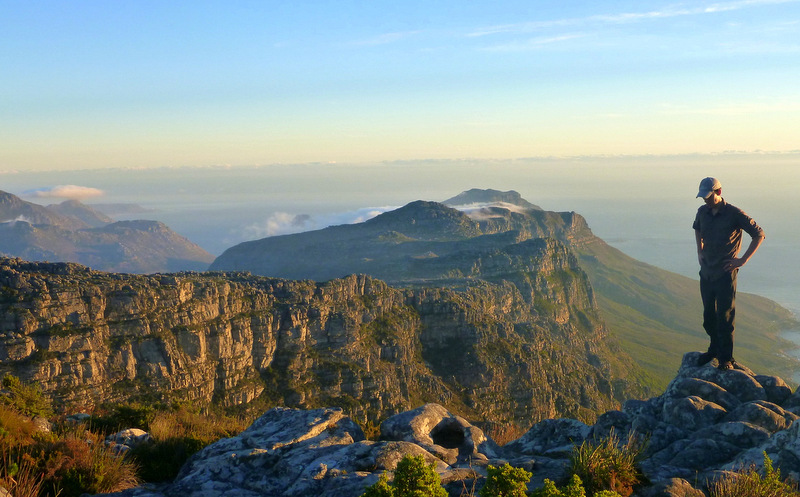 While shorter than Table Mountain, it is a more strenuous hike that involves climbing up steep ladders and crawling through small spaces. And you will definitely need a flashlight for the way back. Did we remember to bring one? How about we complete this list on Monday as not to overwhelm you? 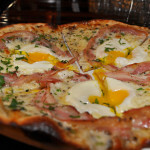 Until then, have a tasty and adventurous weekend!